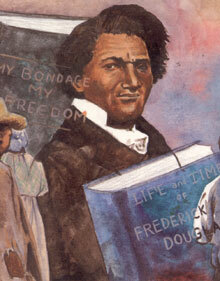 "Adler, a prolific children's book author, has done a good job describing the trajectory of Douglass's life as he moved from being a slave himself to being a freer of slaves and a tireless civil rights activist. Adler includes interesting, often sobering facts that will strike home with children: Douglass's mother only saw him a few times in her life because she had to walk a total of 24 miles to visit him, and he grew up to the reality of slaves being beaten and abused. Narrator Charles Turner, who has a deep and resonant voice, uses just the right matter-of-fact yet serious tones that won't overwhelm young listeners but will make an impression on them."